Through hole via has a path to both external layers. 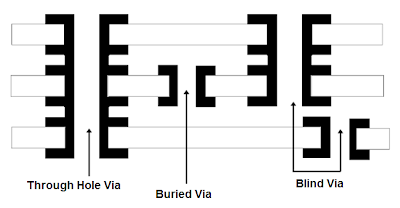 Buried via grant's connection within inner layers, it has no path to the external layers. Blind via does not cross through the entire board, and has a path to only one external layer.